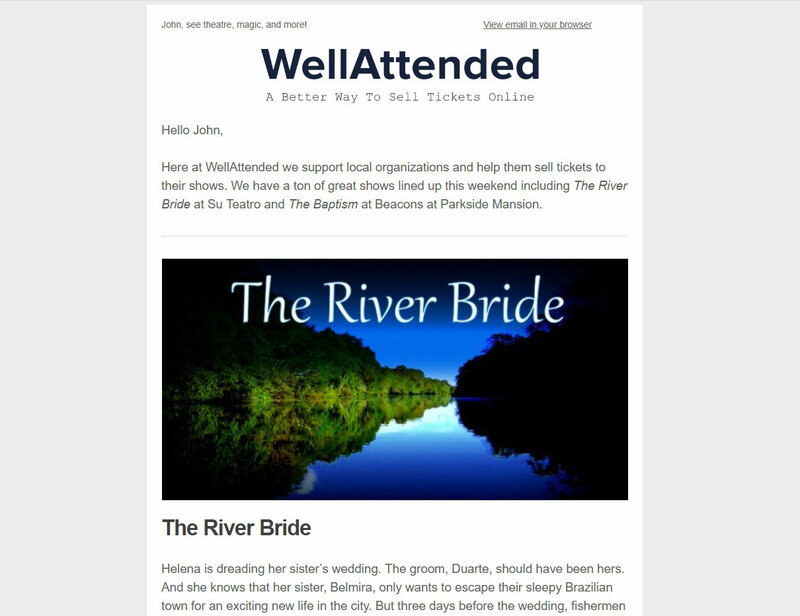 WellAttended makes it easy to make more money, increase ticket sales, and grow your business. Sell t-shirts, posters, buttons, and more at checkout. 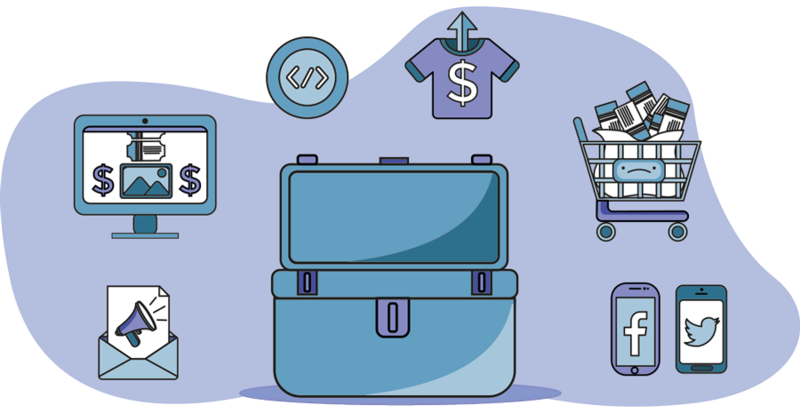 Sell specialty items that are only available with online ticket purchases, and let patrons know that you’ll have a merch table. 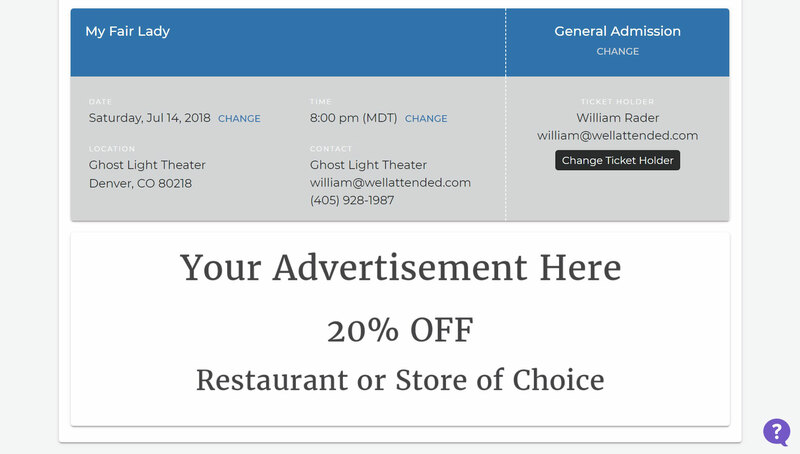 Sell the space directly below tickets to sponsors. This is in a prime location that all ticket buyers will see. Patrons can click on the image and will be taken to your sponsor’s website. 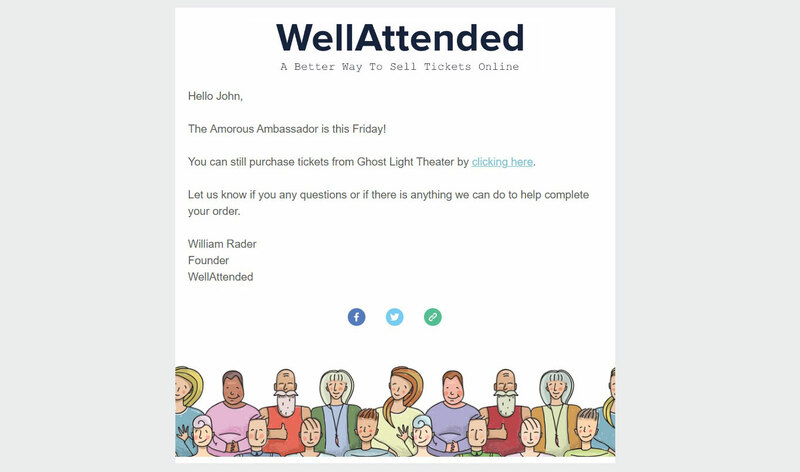 Automated abandoned cart emails are sent to patrons if they leave WellAttended without purchasing tickets. You’ll also see these patrons as leads in your dashboard, so you can follow up and make the sale. Use your Facebook tracking pixel to see how many people are visiting your site and know whether or not your ads are working. 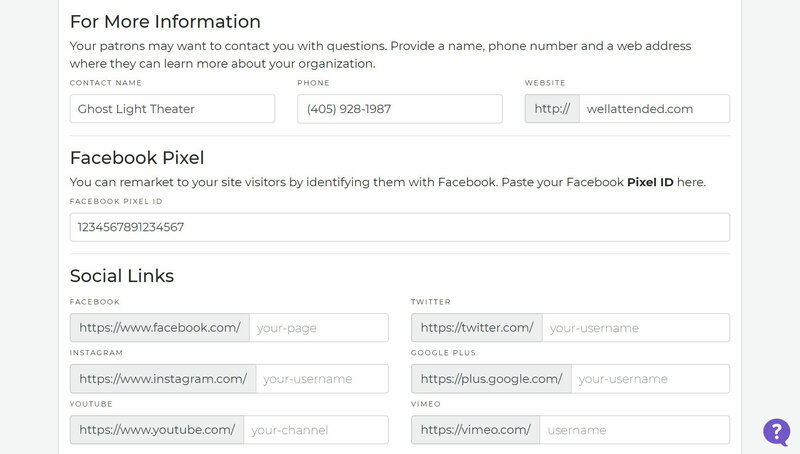 You can also measure your conversions and gain audience insights. 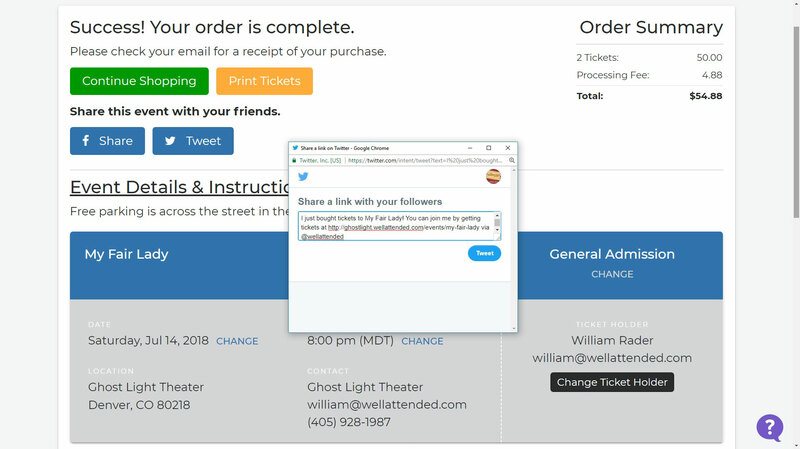 After patrons purchase tickets, they can easily share your event on social media. The message is prewritten with a link to your event. 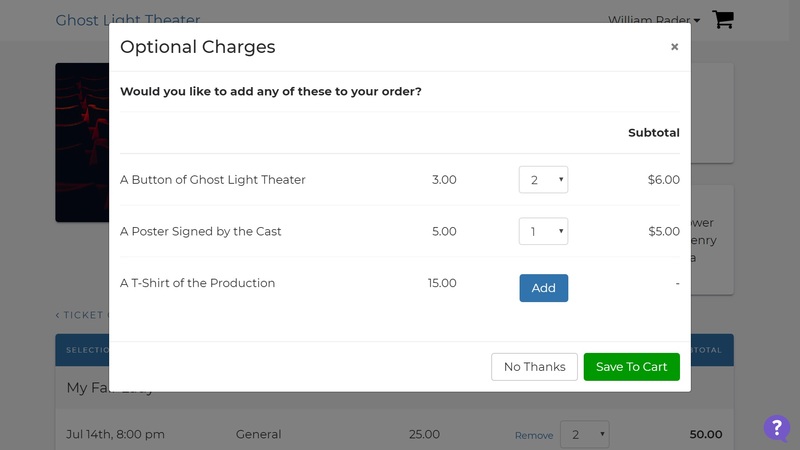 Weekly emails are sent to select markets to help you promote your shows and sell more tickets. These emails are sent to patrons who have already purchased tickets to other shows through WellAttended.